FREE PR STAND AND CHOICE OF EITHER CAP FRAME OR PE DESIGN VERSION 11! 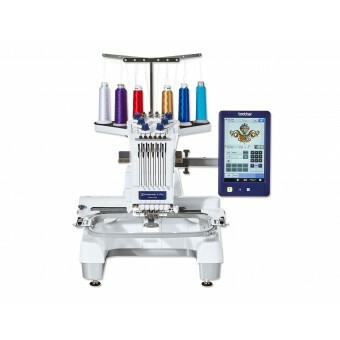 If you dream of starting an embroidery business or expanding the possibilities of your home embroidery, then the PR670e embroidery machine is for you. The PR670e is engineered to deliver professional results in a compact, easy-to-use package. Embroider a wide variety of items such as caps, shirts, jackets, jeans, hats or towels with business logos, school names, monograms, and much more. With the new optional cylinder frame it's easier than ever to add embroidery to shirt sleeves and trousers, plus the new optional flat frame makes framing simple when using thicker fabrics. 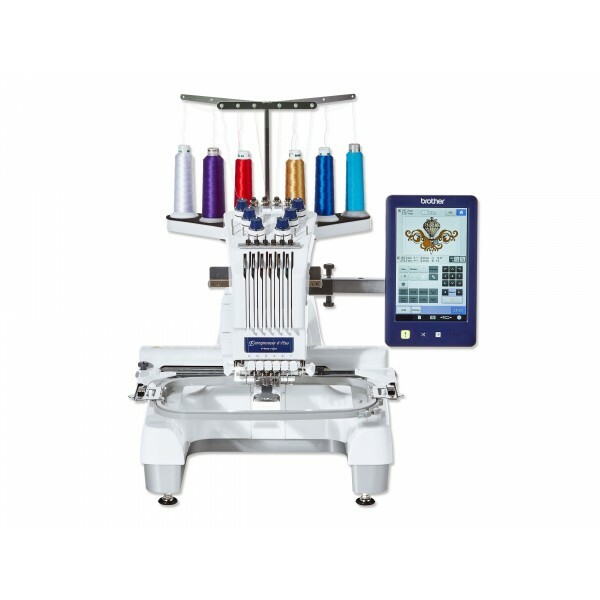 The Brother PR670e embroidery machine now comes with the added benefit of a laser pointer, helping you to pinpoint you design on your garments. Another new feature is the clamp frame compatability, which will allow you to embroider on garments such as shoes and gloves. FREE Personal UK Mainland Delivery. FREE Box of 10 Big Threads. FREE Telephone and Online Support. FREE 1 day in-store training on machine and the software from our qualified instructor.